It’s not easy to fill technical staffing jobs. Not only do you need to find someone who has the expertise and experience required to perform their job duties, you’ll also be trying to find a candidate that works well within the company culture and alongside current employees. This can leave HR struggling to balance giving the time and energy needed to the search for the perfect technical professional alongside serving the needs of the company and current employees. That’s where Perceptive Recruiting steps in. We’re not a one-size-fits-all staffing solutions company, and we’re far more interested in building the right relationships than simply filling a vacancy. Finding and recruiting technical and IT professionals is our total focus, and our experience working with many different clients has taught us exactly what to search for in a technology professional. We take the time to understand your company culture, business requirements, the technology you rely on and utilize as part of your business, and your communication style. With this insight in hand, we can take on the hard work of searching through IT professionals interested in new job opportunities, so you can trust that you receive only the most qualified and perfectly-suited candidates for the position. 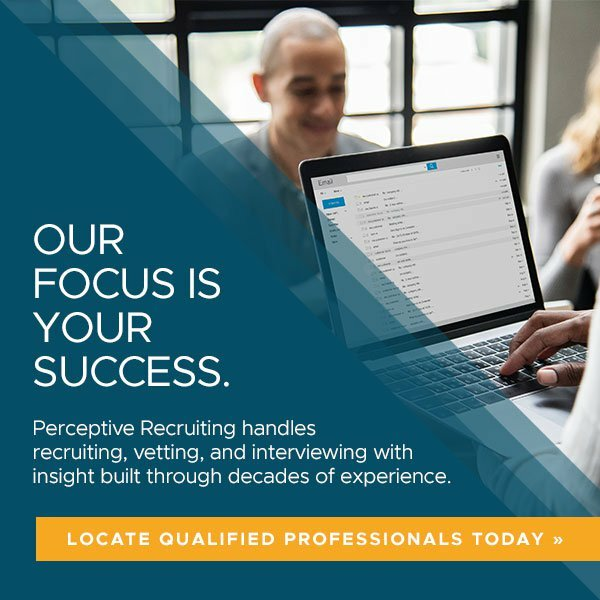 Perceptive Recruiting takes the burden off of your Human Resources department and streamlines the process from start to finish. 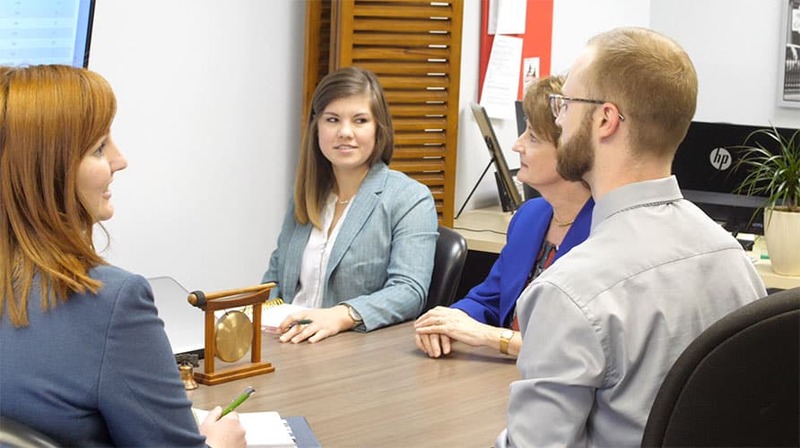 Before any candidates make their way to our clients, we perform in-depth in-person interviews, detailed reference checks, background and drug testing, and also regularly follow up to make sure your new employee is effective in their new position. We’ve been part of the Greenville, South Carolina business community for a long time, which has given us not only a unique insight into the IT and technical staffing needs of Greenville’s top companies, but also an ability to focus on building relationships. We are able to provide a flexibility and insight that no other technology recruiting company in Greenville can, and we’re ready to prove it. Get started solving your technical staffing needs today by calling Perceptive Recruiting at (864) 256-0203, or contact us online at any time.